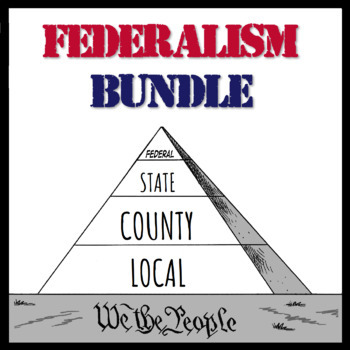 This bundle will provide you with everything needed to teach Federalism to students of AP U.S. Government and Politics. 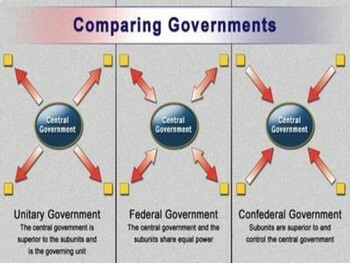 Included is a 48 slide presentation that covers the concept of federalism, advantages and disadvantages, historical analysis of the U.S., and various types of federalism, such as cooperative, competitive, coercive, etc. 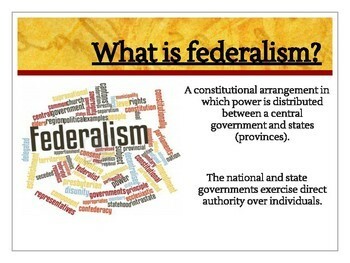 In addition to the content rich PowerPoint, there is a student notes guide and summative project whereby students analyze legislation or a Supreme Court case highlighting federalism and its impact upon the United States. 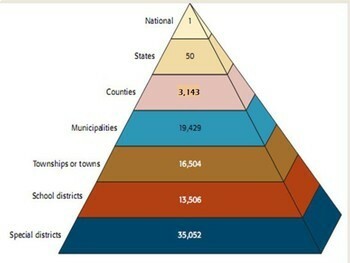 Project contains a rubric to score students upon critical thinking, collaboration, communication, creativity, and peer evaluation.